Ok, I somehow missed the money. But I still only found the dynamite in one place and used it where you just said. Yes, I'm at the place with the excavator and the hip-hop blokes. 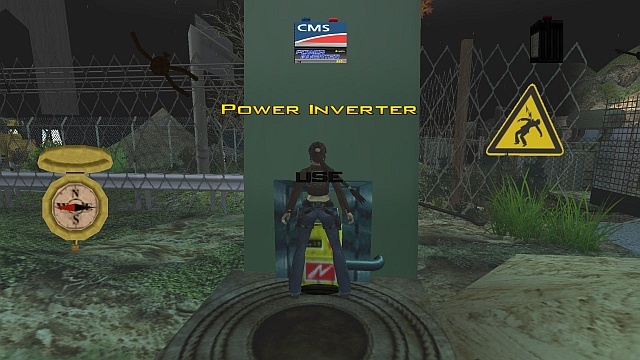 I got the power inverter, opened the gate by using a jumpswitch, the papers, a blue key, all that. I just don't know how the heck I can get out. Is the money actually needed or is it some secret like the i-phone? You need dynamite there to eventually escape this area (the dynamite will be found on the ground near the "hip hop guys" before it is to be used). You first need to climb all of the scaffolds and ladders around the room, use a rope, and shimmy on a ledge near the ceiling to push a boulder down to the ground. That will release several boulders which will also dislodge a stick of dynamite near the bulldozer (?) [writing this from vague memories]. The dynamite is used at the end of the fuse rope on the ground near the blocked exit and lit with a torch. I forget how the torch becomes available but probably with the dynamite or on a scaffold (maybe in a corner, but after the boulders drop). You take the torch back to where you used the first dynamite to light the torch on the burning can. 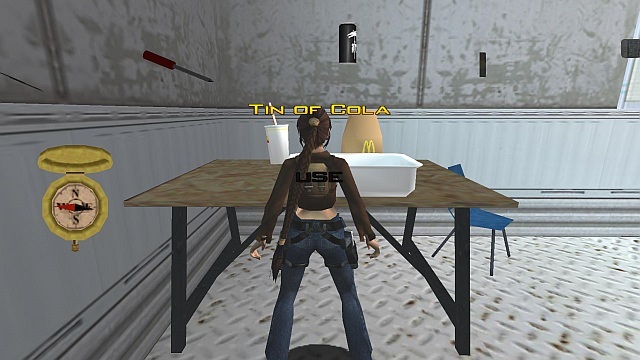 The cash is only a secret that can be obtained during all of these tasks. I hope this helps because I am logging out soon---it is now way too late at night. Last edited by TombTitan on 28 May 2018 12:33, edited 1 time in total. I do not know in what order, but I climbed on the scaffolding and pulled towards the wooden construction. Full of blocks fell. There was a torch in front of the guy who painted and dynamite on the ground to put in front of the big stone that blocks the grid. Ok, thank you both. I did climb on the scaffoldings and couldn't find any way to proceed from there but I suppose there must be a way. I'll keep looking. Thanks again. 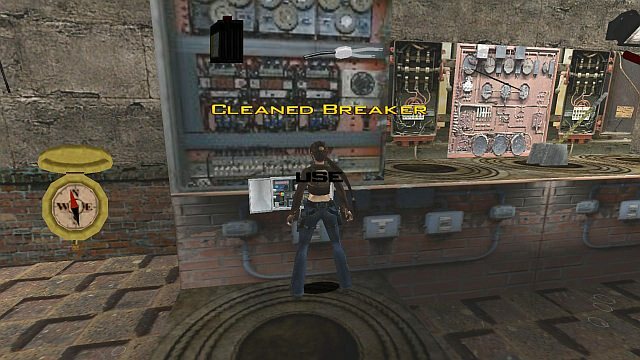 I'm not sure whther this has been discussed before but would someone be so kind as to tell me what the timed run with the blocks at the power station's for? I thought it could be a way of getting somewhere without being electrocuted but apparently there's no danger of electrocussion there, just a couple of soldiers when I use a lever. So... what else am I supposed to do from here and what's the timed run for? You can ignore the wall switch for the two blocks if the floor of the power station is not electrified. That switch is only if you did not use the batteries (or something like that) in order to get to the lever, etc. (when it would be electrified). To leave the area, run jump to the electrical wires in front of the pillar. One of them is a horizontal pole. Then you can run jump from the top of the pillar to the mountain wall to leave the area. Ok, I just got my answer. Sorry I even asked. Oh! That is the reason why nothing had happened! Jeez, thanks. 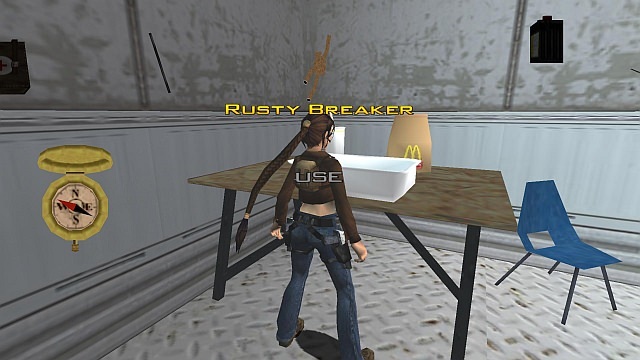 On the other hand, I haven't got any item named rusty breaker with me. 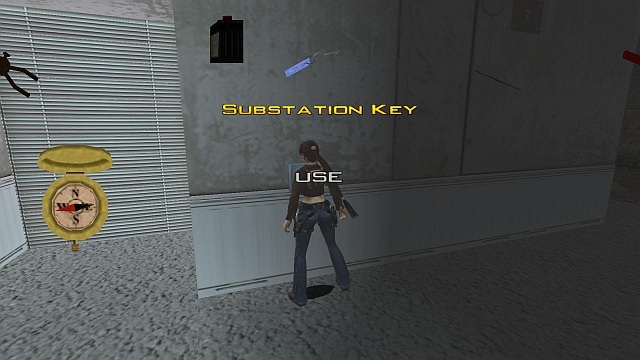 And I have to use the substation key before, so that I can enter the building (but that must be just a detail). So, I assume I must be missing the rusty breaker, which must be hiding... somewhere. So, it's over there somewhere... Thanks. a ledge with an electric panel. Pry the Rusty Breaker from the panel. How do I get to the house? Have been to the garage and got the battery but can't get to the house where I presume the blue key is. I have done that and been up by the house, in a garage with a car, but can't get to the house. Where is the blue key?